TARS Club Call Sign Badge Available Now! Did you know that you can show your pride in our club by ordering a club badge? Get yours today! Join us at Tom Brown Park! Stay tuned for additional details! First and foremost, thank you for the opportunity to assist TARS as your Public Information Officer. I will certainly do everything I can to serve effectively. I thought it would be good to share a bit about myself. I am originally from New Castle, IN. We relocated to West Central Florida in 1994, moving to Tallahassee in 2005. I am 46 years old, and happily married for the last 28 years to my wife, Donna. We have 4 children; Jason 26, Alex 24, Meagan 22, and Ethan 19. Alex and his wife Cat just blessed us with our first grandchild, Aralyn Mae, this past month! I proudly work for the City of Tallahassee as a Graphic Design and Installation Specialist, designing and installing all of the vehicle wraps and graphics for the city fleet, and working with various departments on special events and marketing. I have been licensed since 1998, and finally obtained the perfect vanity call W4JMF last year. I enjoy D-Star, DMR, Allstar, and I own an Echolink Conference server *THEGUILD* Node 679320. 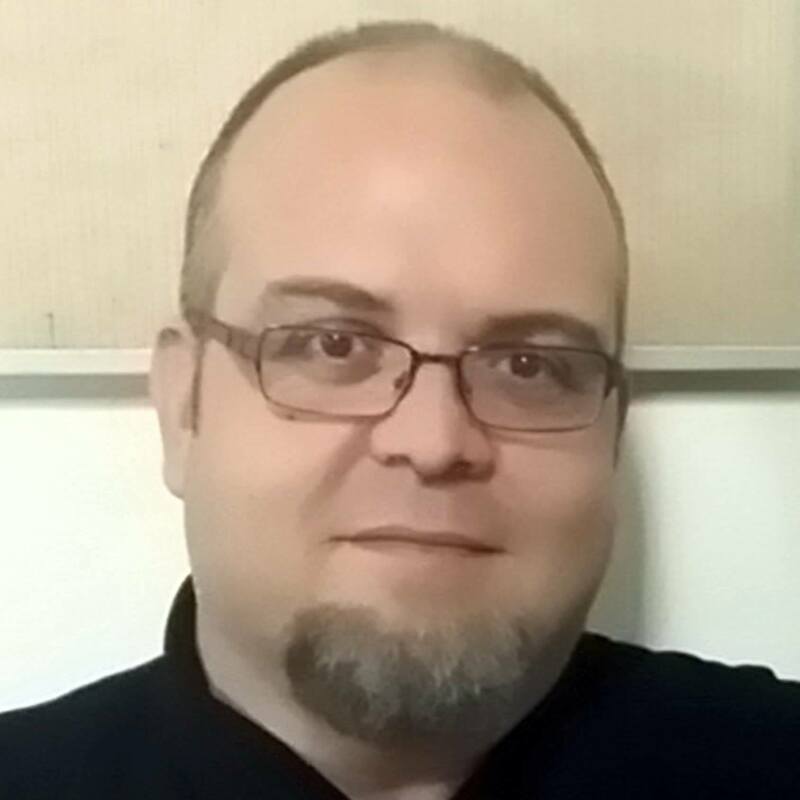 I am also the President of World Wide Amateur Radio Guild Inc, which is a virtual amateur radio club with nearly 500 members from all over the world. This group primarily serves to provide education, training, and fellowship to both licensed and non licensed individuals. Previously, I have also served in another county as Assistant Emergency Coordinator, Public Information Officer, and club president. Moving forward, I will begin doing research and planning in the next several days. In the meantime, please feel free to contact me at any time. TARS needs volunteers to answer to the call to provide communications support and safety oversight to the Tallahassee Marathon on Sunday, February 5th. If you have participated before and would like the same checkpoint, please let John Pantoja, KM4FAM, know. If you are unable to participate the entire time he can make provisions for you. You can work a full or part day shift in either the morning or mid-morning-to-afternoon slots (and check in on the air.) The first portion of the course will be shut down starting around 10:30 a.m. In addition to the normal checkpoints, there is a need for NCS, SAG wagon and a liaison for Medics. At the October meeting, members voted to use the Longhorn’s ‘Specialties’ menu to determine what menu items to choose from. The choices are: Flo’s Filet- 8 oz. cut of beef; Outlaw Ribeye- 18 oz. bone-in steak;Salmon – 10 oz. grilled with bourbon marinade; and Chicken – two grilled breasts, with a parmesan garlic crust. All entrees include mixed green or Caesar salad, honey wheat bread and fountain drink, coffee or tea. Addition items such as wine, beer, appetizer or dessert are available at an addition cost. The cost will be $23.99 plus tax and tip. Each individual will be billed by the server at the dinner. We have room for 45 guests , so if you wish to attend send an email to Gerry at wa6poz@comcast.net . The Tallahassee Amateur Radio Society will sponsor an Amateur Radio Technician License Class on Saturday, June 11th 2016. The class will run from 9:00 AM to 3:00 PM (with a VE Exam Session following the class) and be held at The Capital Area Chapter of the American Red Cross, 1115 Easterwood Drive in Tallahassee (near Tom Brown Park). This will be a one day class with a short break for lunch. Morse code is no longer required for an Amateur Radio License. There is no charge for the class. A $15.00 Exam Fee (cash or check) will be collected at the beginning of the VE Testing Session following the class. Please bring a photo id for the testing session. Before you take the VE License Exam, you should sign up for a FCC FRN Number FCC FRN Registration. Follow the link and click on “New User Register”, it will ask for your SSN one time during registration. The FCC FRN number is safer than using your SSN when you take VE Exams and complete the paperwork to apply for your FCC Amateur Radio License. Bring this FRN Number when you come to the License Class on June 11th! Interested students should order/borrow a copy of the current ARRL License Manual (Technician) with the Exam Practice Software (Windows PC) CD before the class and review the material and question pool before the class meets on June 11th. The License Manual may be ordered online directly from the ARRL ARRL License Manual for $29.95, or one of the local book stores. For more information contact TARS TallyAmateurRadio@gmail.com . The Technician Class taught by TARS on September 26 was a resounding success. Twelve students attended. The Technician License Exam following the class yielded eight new Technicians. Two of the students went on to pass the General exam. The remaining two students plan additional studying and will take the exam at the regular VE session in October. At the May TARS meeting, Stan Zawrotny, K4SBZ announced the winners of the first TARS HF WPX Contest. This contest was held using the CQ Worldwide WPX Contest on March 28-29, 2015 as a framework. First Place in the High Power category went to Gerry Gross, WA6POZ, with Stan Zawrotny, K4SBZ, taking Second Place. In the Low Power category, Theo Titus, K4MVL, won First Place, Bob Clark, K9HVW, came in Second and Jeff Lockwood, N4TML, took Third Place. Comparing scores worldwide and nationally, Theo’s 302,112 points ranked him 218th (top 14%) worldwide and 34th (top 8%) nationally in the Low Power category. Gerry’s 431,364 points in the High Power class put him in the top 30% nationally and 35% worldwide. Other participants can view their scores compared with other entries at http://www.cqwpx.com/claimed.htm?mode=ph. Be sure to enter the Florida QSO Party – TARS Club Contest. It will be fun. It will be easy. Even if you have never entered a contest before. We have chosen the Florida QSO Party because it is an easy contest to participate in. You don’t have to work DX because the object is to work as many states as possible. You can operate on 40, 20, 15 or 10 meters. The contest is both Saturday and Sunday, so you can operate during the day either day or Saturday evening and choose your band. There are two time periods: Noon to 10 pm Saturday and 8 am to 6 pm Sunday. 20, 15 and 10 meters should be open during the daylight hours and after dark there is 40 and maybe 20. Does it sound interesting, but you have never entered a contest? Never fear. It is easy. Read on. I’ll guide you through it, step by step. The first thing you have to do is make a contact. (I will talk SSB here although the ideas are similar for CW and digital.) There are two ways of making contacts: “running” and “search and pounce.” Running is simply sitting on an open frequency and calling CQ. It is the most efficient because the other stations come to you. However, you need to have experience in handling a pile-up if many stations want to contact you. More on that later. So, for most contests, you might start out with search and pounce (S&P) which is just searching for someone else calling CQ. When you find them, just give your callsign once, using standard phonetics, and listen to see if they come back to you. If not, try again. Now you log the contact and move on to the next one. We will talk about contest loggers later. First you need to find an open frequency. (This sometimes is the hardest part). You want as many contacts as possible, so even if you are an Extra Class, find a frequency in the General Class band so that you aren’t excluding anyone. For the Florida QSO Party, I recommend 20 or 15 meters. 10 meters is also a possibility if it is open, but your contacts will be mostly in the West. If it is in the evening on Saturday, you can use either 40 or possibly 20. It is standard to choose a frequency ending in a multiple of .25; e.g., 14284.00, 14284.25, 14284.50, 14284.75, etc. You may have to search to find an open frequency with no one nearby. Once you do, say, “Is this frequency in use?” and pause. When you find an open frequency, hold on to it. Don’t pause for too long in between CQs or QSOs. Any longer than 30 seconds and you are likely to lose the frequency in a busy contest. Please note the Mobile Frequency Windows in the rules. These are frequencies that they request we leave free for Florida hams who are operating mobile during the contest. Some of them are trying to activate as many counties as they can during the weekend. For the Florida QSO Party, you simply call, “CQ Florida QSO Party” a couple of times and give your callsign phonetically. Pause a little, then call again until someone calls you. If things get hot, you may only have to say it once and give your call twice before waiting. Sometimes, it is good practice to add a CQ at the end for someone who is just tuning by: “CQ Florida QSO Party. This is Kilo 4 Sierra Bravo Zulu, Kilo 4 Sierra Bravo Zulu calling CQ the Florida QSO Party.” Some people replace the last CQ with “Q-R-Zed” (QRZ = who is calling me?) instead. When you hear someone give their callsign on your frequency, simply give them the contest exchange: signal report and your county. So, if you live in Leon County, you would say, “Kilo Delta 7 Hotel Tango Whiskey, you are Five-Nine Leon.” (Everyone is 59, even if you can barely hear them and it took six tries to get their callsign right). The counties have three character abbreviations: Leon – LEO, Jefferson – JEF, Gadsden – GAD, Wakulla – WAK for use in their contest loggers. (Check http://www.floridaqsoparty.org/cota.php for others). Some people give only the abbreviation (“L-E-O”), others give both (“L-E-O, that’s Leon County”). Do what feels comfortable to you. They should come back with a signal report and their state, just like I demonstrated in the S&P example. When they have finished giving their exchange, you need to say thank your or QSL and move on to the next contact. This is usually done by using QRZ, pronounced “Q-R-Zed.” So you might say, “Thank you for Arizona. This is Kilo 4 Sierra Bravo Zulu, Q-R-Zed the Florida QSO Party.” Hopefully, you will have someone else already waiting to work you. This is called a pile-up. If you don’t, then call CQ. Most contests have a scoring algorithm that involves “multipliers.” Yes, you want a lot of contacts, but you also want a lot of multipliers to multiply those contacts by. In the case of the Florida QSO Party, the multipliers are states. You want to get as many states as possible because 400 Qs X 15 states = 6000 points, but only 200 Qs X 40 states = 8000 points. In some contests, you can get two multipliers by working the same station on different bands, so always read the rules for the contest that you are participating in. Your regular electronic logbook or digital decoder may have a contest feature. Most that do have limited features, but may be sufficient for your use. The top two contest logging packages are N1MM and the N3FJP. N1MM is the most frequently used, mostly because it supports RTTY by running MMTTY internally. Also, it is free, while the others require a fee. N3FJP has more features. Other popular contest logging software include WriteLog and Win-Test. All contest logging software focuses on fast entry of contacts. They all produce the Cabrillo logs required for log submission as well as ADIF files that can be imported into your regular electronic log. Once the contest is over, use your contest logging software to produce a Cabrillo log and email it to the address given in the contest rules. You should get an email within minutes from the big contests confirming the receipt of your log or telling you about any errors you may have made. A contest robot reviews your log immediately. You may resubmit your log as often as necessary to correct any errors. Then sit back and wait. The big contests take months before they publish the results. 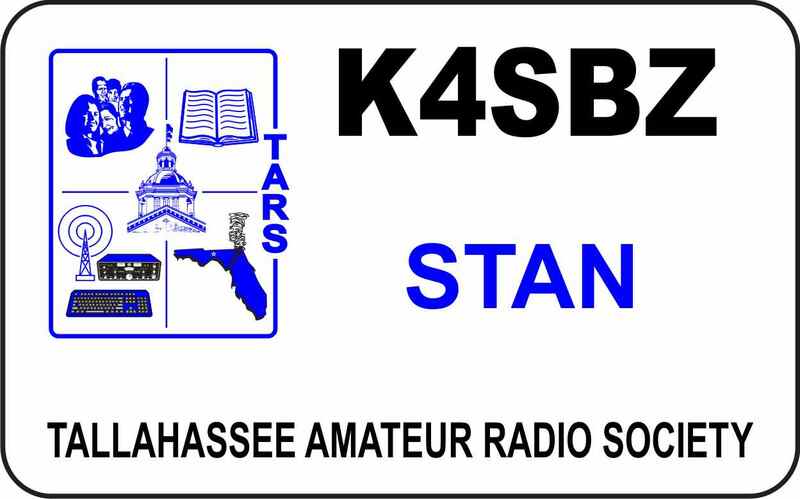 For the Florida QSO Party – TARS Club Contest, email the same Cabrillo log to K4SBZ,Stan@gmail.com. You will get an email verifying your submission. Results of the contest will be announced at the June TARS meeting. If you have more questions, please contact Stan, K4SBZ, at K4SBZ,Stan@gmail.com.